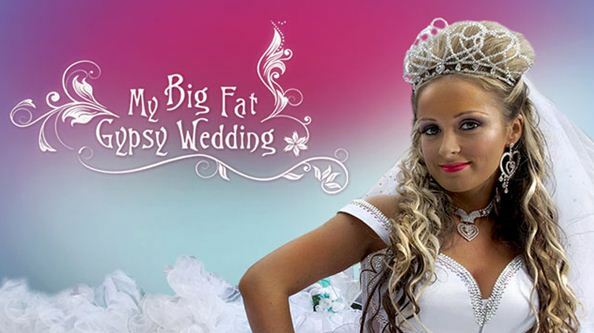 If you live in England, you would undoubtedly have heard of the Channel 4 documentary My Big Fat Gypsy Wedding, which explores the lives of gypsy travellers all over Great Britain. The series follows various teenage girls in the weeks and months leading up to a big event in their young lives, whether it’s their wedding day, prom or communion. All events come complete with big (and I mean big) poofy dresses, too much make-up, and a good bit of grabbing. What’s grabbing, you say? Well, it is the time-honoured, sacred tradition of travellers endeavouring to find their partner; a mating-ritual of sorts. And it is every bit as romantic as it sounds. The gypsy boys keep an eye out for a secluded spot nearby, be it a car park, alleyway, or quiet corner of a club. They then pick their prey: usually the girl with the shortest skirt, darkest fake tan and boldest dance moves. And then the grabbing begins. The boy will literally grab hold of the girl and drag her to the secluded spot, pushing her viciously against a wall – or a conveniently located white van – and forcing a kiss (or a bit of a feel-up, if he’s in the mood) out of her. The girl is not given the chance to object, as the boy will get what he wants in the end, regardless of her opinion. This shocking, disgusting violation of a woman’s rights is all taken in good humour, however, as all girls post-grab merely laugh and shrug off the behaviour as if the boys are playful puppies who don’t know any better. Grabbing isn’t the only example of hideous gender stereotypes in this show, although it is by far the most brutal. As the cameras follow the everyday lives of the travellers, you will see a bit of a pattern forming. Most children leave school at age twelve to begin contributing to the community; for the boys, this means flaunting their mohawks while working in the tractors they learnt to drive at age seven, and for the girls, it means taking over general housewife duties – cleaning, cooking and looking after their many younger siblings, all tasks designed to prepare them for marriage, four short years later. These predetermined roles are rarely ever queried within the camp, and those few children who do decide to remain at school past twelve are ridiculed and mocked within the community. I hasten to add that attitudes towards gender equality are decidedly not this backwards in the general English population, which I suppose contributes towards what makes My Big Fat Gypsy Wedding so interesting to watch – it is such a different way of life happily coexisting amid ordinary British society. Nowadays, higher education is taken for granted to an extent – even leaving school at 16 is somewhat frowned upon, not to mention how rare it is for a regular British teenager to commit to marriage. But despite the opinions many Brits may hold on marriage and education, the free will of that individual is maintained and any outrageous decisions are met with nothing more than a quiet tut and purse of the lips. But the travelling community don’t object to their restricted freedom, and actually defend it as beneficial to all: despite their gaudy sense of fashion, the young gypsy girls are strictly forbidden from any form of romantic encounters before their wedding (grabbing not included). They don’t sleep around, they don’t smoke, and they don’t do drugs. Instead they learn what are believed to be the “vital” lessons to being a good wife and mother; how to maintain a household and take care of the children, all of which are seen as steps towards bettering the traveller community, and not regression to the restrictive beliefs of the 1950s. Perhaps resurrecting such old-fashioned sentiments really do contribute to the travelling society and improve their lives; the divorce rate among travellers is next to none, underage drinking or drug-taking among women is forbidden and thus extremely rare, particularly compared to other teenagers in England, and all travellers maintain close relationships with their families throughout their lives. But irrespective of the apparent benefits, or whether girls get married at 16 or 46, it is the choice that remains in Britain as the most important part of a woman’s life, and the women on My Big Fat Gypsy Wedding are not given this luxury. The father makes all decisions for his daughter until the day she gets married, when all responsibility is then transferred to the husband, and the woman remains utterly disconnected from all major decisions in her life. Such a system certainly isn’t exclusive to gypsy societies, but it is relatively so in England, where such behaviour is completely unheard of in day-to-day life. But as the majority of girls on the show seem more than happy with this arrangement, the travelling beliefs aren’t likely to change anytime soon. Gypsy culture will remain for the moment as an ideal somewhat disconnected from reality; a series of events on the other side of a television set that we continue to watch in order to fulfil the voyeuristic urge to catch a glimpse of life “on the other side”. This entry was posted in Featured, Film and tagged gender stereotypes, sexual assault, wedding. Bookmark the permalink.